Congratulations to our new captaincy team, appointed last week, following interviews and presentations. Erin Main will be the School Captain for 2015-16 and will be assisted by four Vice Captains – Blair Anderson, Lewis Cameron, Courtney Forsyth and Rachel Kimmett. We wish the group a very successful 6th year and look forward to working closely with them. Our new S1 intake spent two days in Kilsyth Academy, last week, acclimatising to their new school, meeting their teachers and hearing about the many opportunities that exist for them, in secondary school. The two days went very well, as did the Parents’ Evening which followed. We look forward to welcoming the children to Kilsyth Academy, in August. Pupils in S1 (new S2) made their Health and Wellbeing presentations this week. 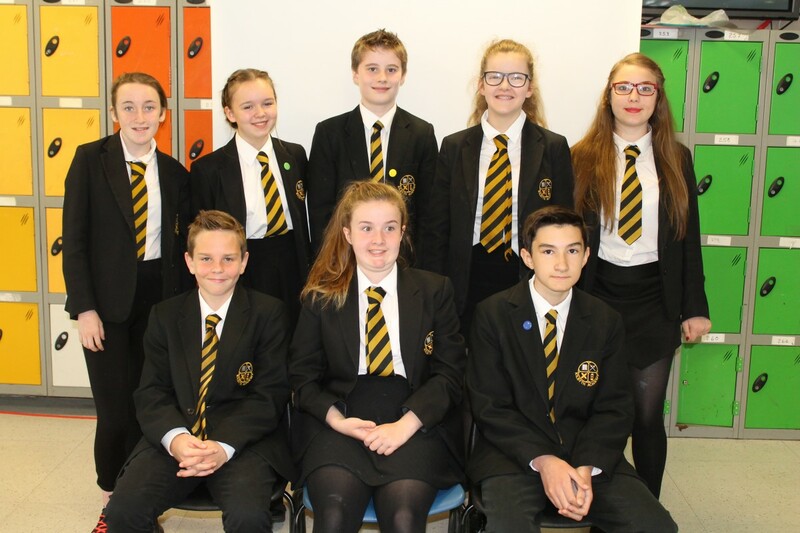 Eight pupils made presentations to their peers and a panel of judges. Once again, these were to a very high standard and the winner was Olivia Elliott. Well done! 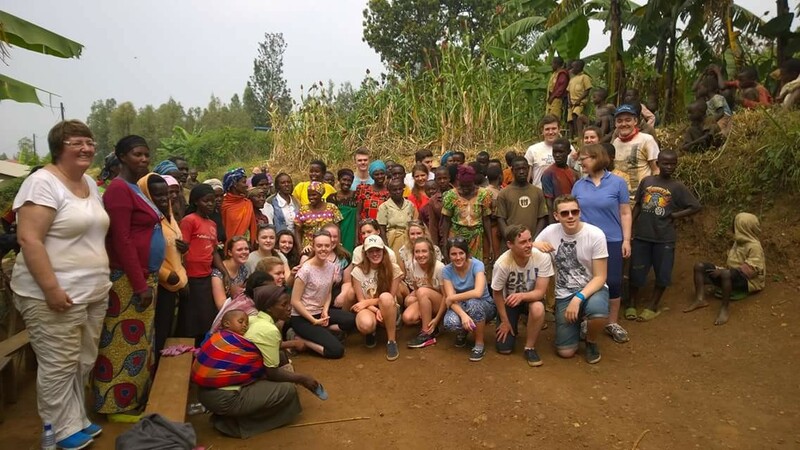 A party of senior pupils and staff are now in Rwanda and, during their first few days, have been working with victims of the genocide, carrying out a service project and working with a Street Kids Rescue project. Trips to London and the Battlefields have headed off this week and we look forward to hearing about their exploits too. 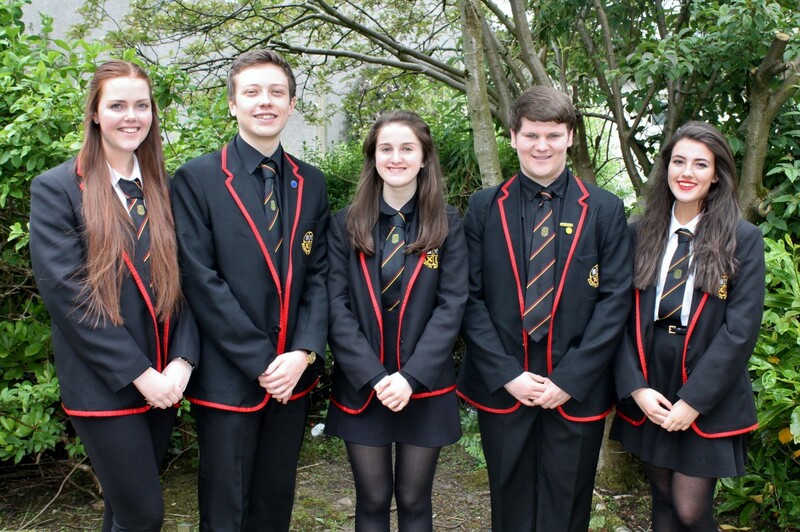 A team of senior pupils from the Modern Studies took part in the annual International Conference last week. The country that they had to represent was Afghanistan and their research and debating skills were put to the test in representing their viewpoints. Congratulations to all those who participated. Our very best wishes go to three members of staff who are retiring this summer – Mr Colin Laird, Mr David Chesney and Mrs Victoria McAulay. We wish all three a very long and happy retirement. The school will close for the summer, on Thursday 25th June, at 1.00 p.m. and will re-open for pupils on Tuesday 18th August, at 8.55 a.m. We wish everyone a great summer holiday. Our Senior Awards Ceremony will take place on Wednesday 10th June, at 7.30 p.m. and we are delighted to be able to welcome Mr Eddie Wolecki-Black, Manager of Glasgow City FC, as our Principal Guest. We are looking forward to recognising the many achievements of our young people, in the areas of sport, academic studies, the arts, music and citizenship. Parents of reward recipients have already been invited. The following day, Junior awards will be presented at a series of special assemblies. The Parents’ Evening for P7 parents will also take place on Wednesday 17th June, at 7.30 p.m., which is immediately after the children’s two-day visit on 15th and 16th. Letters of invitation have been issued via the Primary schools. A huge thank you to everyone involved in our school show, ‘Disco Inferno’, last week. The pupils gave fantastic performances to packed audiences and provided superb entertainment over three evenings. All the pupils’ dedication, during months of rehearsals, really paid off and the staff involved gave up a great deal of their own time to ensure that the production was such a resounding success – see separate review. On Friday 29 May, the robotics team participated in the Scottish Colleges Robotics Competition at New College Lanarkshire. The competition involves teams driving Rampaging Chariots, which are powerful, radio controlled featherweight sporting robots. In the morning event, the assault course, Calum Baird obtained first and Josh Wood third. Despite some strong competition from the college’s students. In the afternoon football event, which is a cross between football and robot wars, the Kilsyth robots took a real battering, and some hasty repairs were required. With two damaged robots, the two Kilsyth teams battled on and came third and fourth. 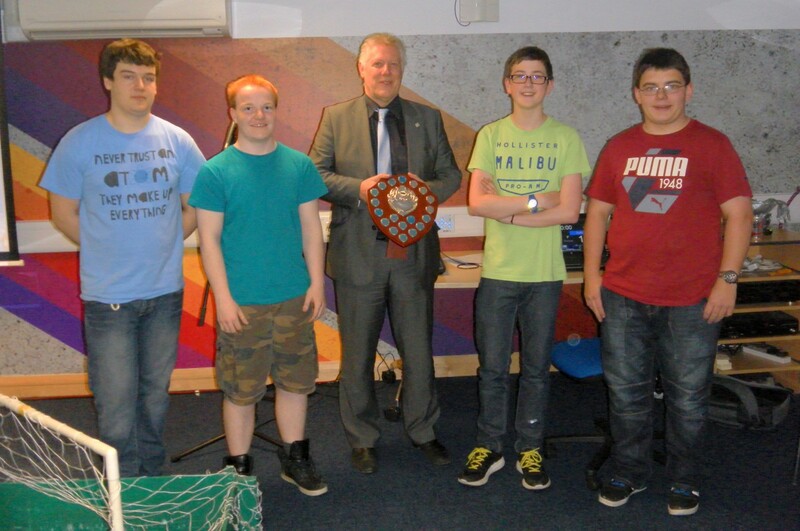 Kilsyth came out first overall, narrowly beating Dundee College to win the trophy for a third time. Well done to Calum Baird, Josh Wood, David Bauld and Adam Boyd. The team now have a week to repair their robots and prepare for the Scottish Robotics games in Edinburgh. Remaining Uniform Evenings will be Monday 8th June and Wednesday 17th June, from 5.00 – 8.00 p.m.